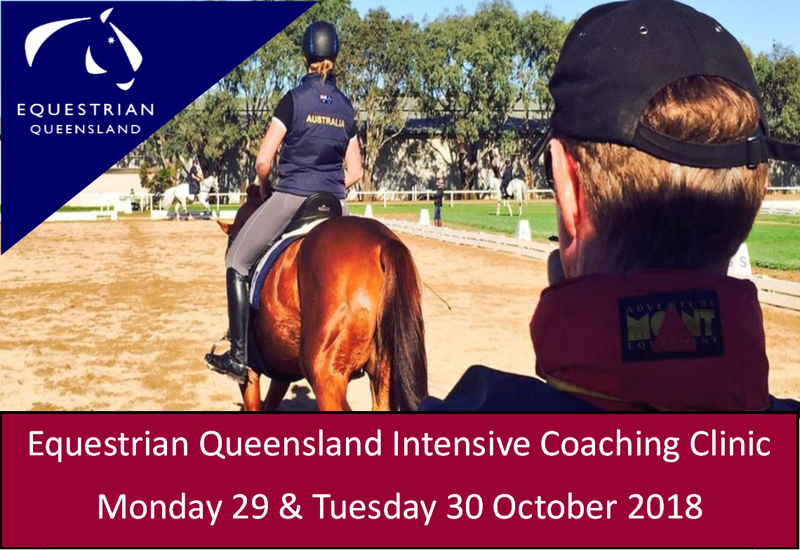 Show Horse Queensland’s Goal is to award and recognise Equestrian Queensland Show Horse Horses & Riders who have successfully competed as EQ members across all Equestrian Queensland Club/Affiliated events. Riders must be current competitive members and the horse must have a full life registration, with the owner being a current financial member. By submitting an entry to the Leader board, the owner rider gives consent for their name and the horse's name to be published in any announcements regarding the leader board. EQ and EA Shows are worth triple points (including ENSW, ESA, ETAS, EVIC). 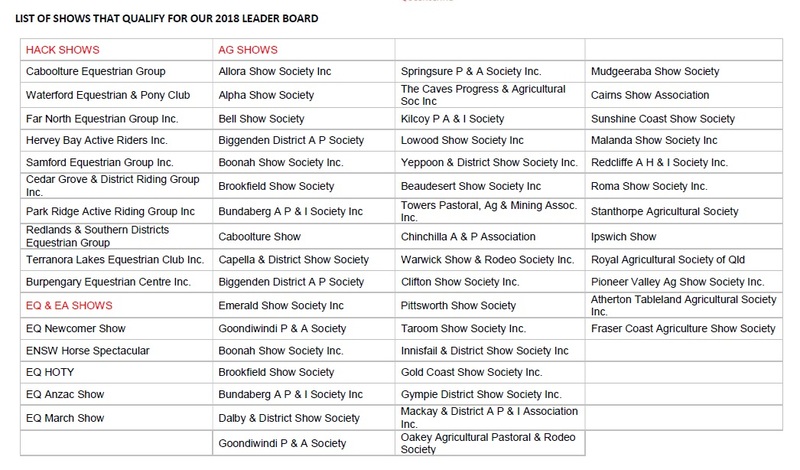 The Show Horse Leaderboard form needs to be received by no later than 5th November in preparation for the Show Horse Queensland awards night on Saturday 17 November. All forms must be forwarded to [email protected]. Please note you can only enter two sections of the awards on offer per rider/horse. Both Winner and Runner-up will be awarded. All riders or owners must be present at the 2018 EQ Show Horse Awards night to receive the award. Only one performance per show will be accepted. In the case of there being a two or three ring circus at a show, you will be only eligible to use 1 open class to accumulate points from not all open classes from the two or three ring circus. Owner Rider classes, you must be a financial Equestrian Queensland Show Horse Owner Rider member, and the horse must not have been ridden by a professional 3 months prior to the start of any show you enter. Proof of membership and horse registration certificate will be required. The owner(s) is/are the person(s) named as the owner(s) on the EA registration papers. An owner rider must not have sponsorship or remuneration (excluding prize money) above the value of $200/annum for any services connected with the breaking, training and riding of any horse or pony in the last 3 years. An owner rider’s principle source of income is not obtained from sponsorship, breaking, training, riding or coaching any horse or rider. The horse/pony must be primarily ridden and trained by the rider/owner with only periodic ridden assistance by person(s) other than the owner. Owner Rider Application will need to be completed and sent to the Office. In the case of equality within any height division for Champion, or for Supreme Champion, the points accumulated at the Show Horse Queensland HOTY Show will be used to determine the Champion or Supreme Champion. If there is still equality, results will be submitted to a review panel.